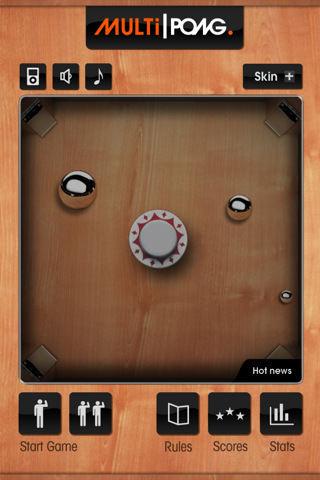 MultiPong is a game available for the iPhone, iPod touch and the iPad. 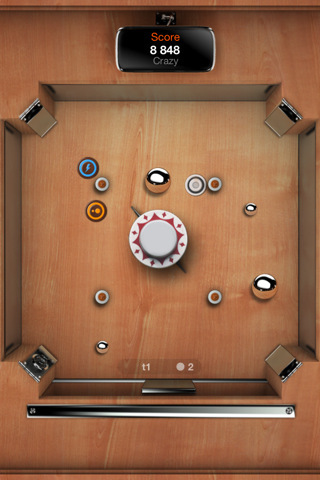 MultiPong is an updated version of the classic Pong game which can be played by up to four players in the iPad version, and two players can play on both the iPhone and iPod touch versions. In this review, we will be discussing and reviewing the iPhone version. The MultiPong iPhone app has rather decent controls for a touch screen game that requires a lot of movement. During the game, the player uses their finger to move a bumper to attempt to hit the ball moving across the screen. If the ball goes past a player’s bumper, then the other player scores a point. The controls are very responsive, and the ball moves in a realistic manner. The only problem with the controls occur when playing the game with two players. The screen can become rather difficult to see with two hands trying to play at the same time. The audio is rather basic and nothing too spectacular. The sound effects add some extra realism to the game, but MultiPong can be easily enjoyed with the sound turned off. A game between friends will most likely have lots of talking between the players, so the sound is not that important to the success of the game. The graphics for the MultiPong iPhone game are very crisp and clear. The background of the game is a wooden table with a silver ball moving around as it is hit by one of the bumpers. The game looks rather realistic and makes the players feel like they are playing on an actual wooden board. The graphics are one of the game’s top attributes, and they help to keep drawing you back to play the game. MultiPong costs $0.99, but can be downloaded for free at various times. The game is a rather decent value at 99 cents, but becomes a great value if you can get it for free. The game will be a lot of fun to play for a long time with your friends, but the single player mode will become boring really quickly. There are 7 different game modes and rules to choose from. Despite the different set of rules, every game is played until one player scores 3 points. MultiPong can be a very fun game between two friends. There are only a few minor problems with the game, including the hard to see screen and the unchangeable score limit. Despite these problems, MultiPong is a very fun game that will be enjoyed for a long time. I give MultiPong a score of 4 out of 5 stars. AppSafari review of MultiPong was written by Darius Reimm on June 13th, 2011 and categorized under App Store, Arcade, Fun, Games, iPad apps, Multiplayer, Universal. Page viewed 4170 times, 1 so far today. Need help on using these apps? Please read the Help Page.